Challenges in standards enforcement and strict requirements, from the Attorney Generals’ Office, created a complex, high-friction contracting process that required many cycles of re-writes which resulted in annual losses of productivity at the State of Hawaii, Department of Health. In many instances, a single contract could demand a contract o­fficer to memorize hundreds of requirements with high degrees of content variation (approximately 40 diff­erent variations) for major sections. Additionally, a contract off­icer typically works on creating multiple contracts at a time, significantly increasing the level of complexity, amount of errors, and time required. 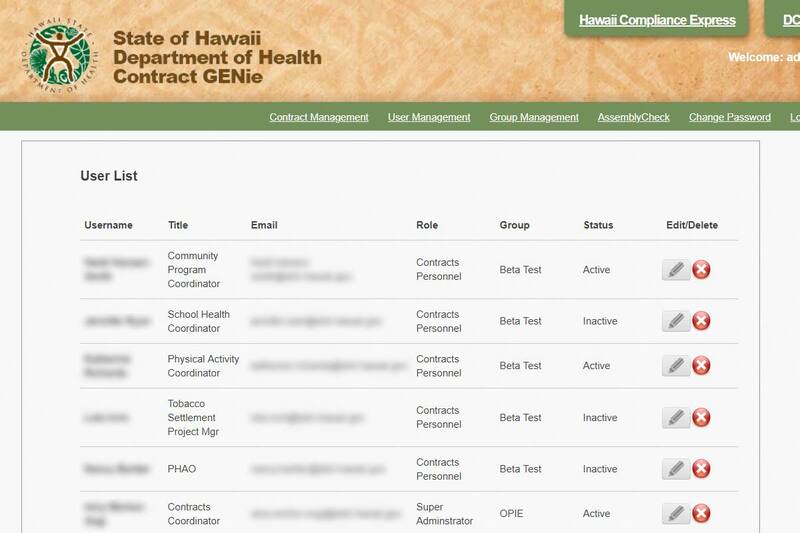 The sustainability of this contracting process was dismal, and the State of Hawaii, Department of Health knew that they need a change. They needed a streamlined approach to the contracting process that enabled efficiency when creating contracts, and that enhanced the effectiveness of the contracting offers who regularly utilized the process. 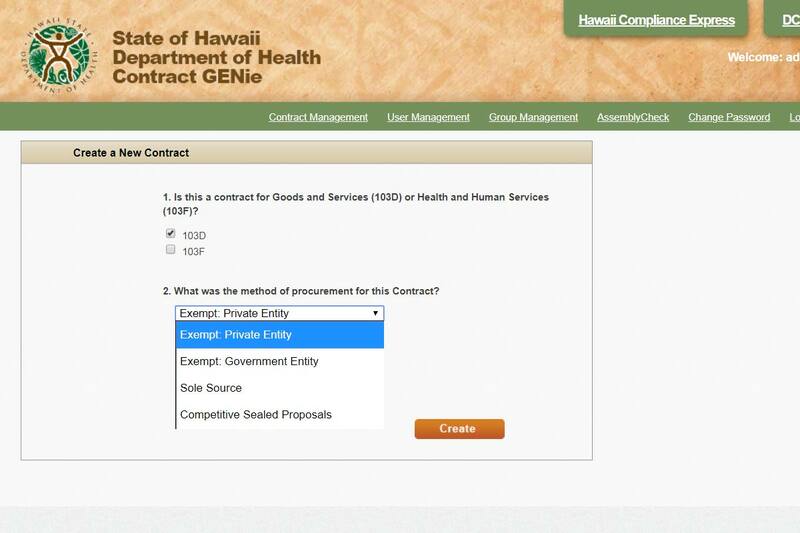 RevaComm created Contract Genie, a question-driven, web-based application to serve as the core tool in the e­ffort to streamline the contract creation process. Contract Genie enables users to effectively manage the process of creating a contract, simply by answering a series of questions. 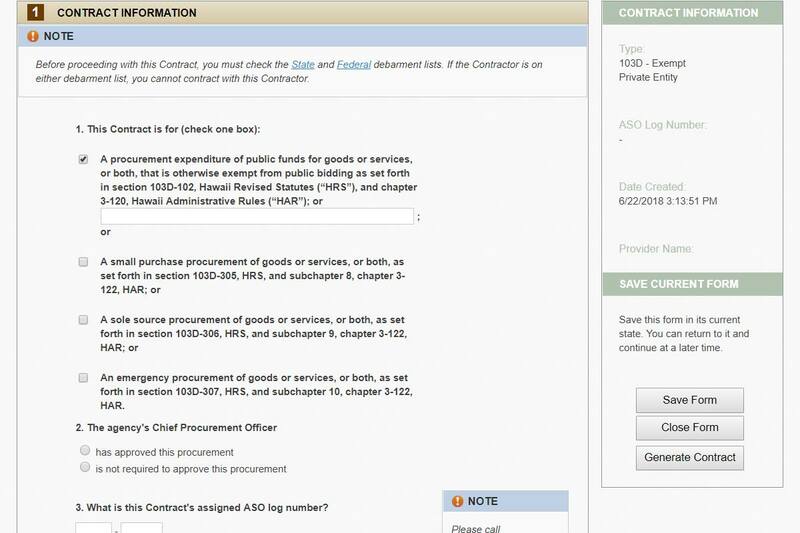 Answers are automatically inserted into the appropriate contract area in a standardized format of the contract document. 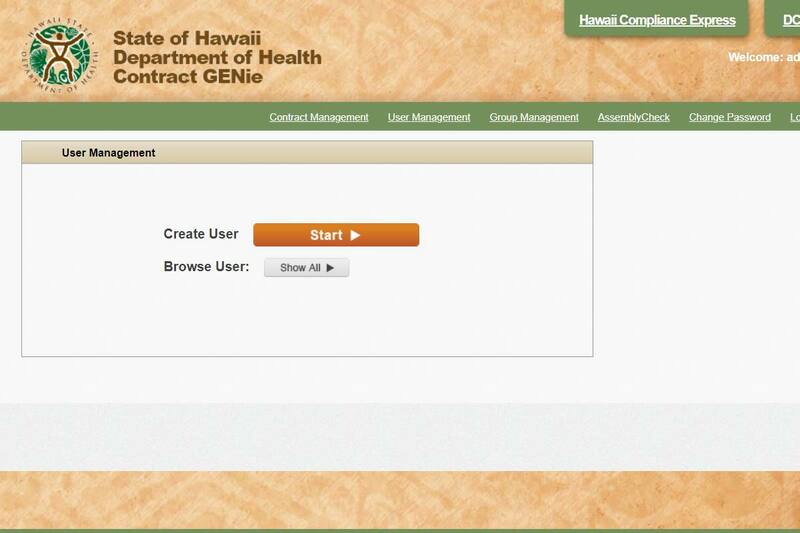 Users can view contract forms and edit content at any time prior to printing and/or saving. Users can easily find and resume the contract creation process at the exact point they left off­ for any of the contracts they are assigned to create. Contract Genie also saves all completed contract forms and content as templates for ease of creation and modification of new contracts.